On the 1st of March 2012 a female cheetah called Susan was brought to HESC from Vaalwater, Limpopo Province. She was part of The Howard Buffet Foundation and had been held in a 15ha enclosure. When The Howard Buffet Foundation decided to focus on agriculture alone, Doug Oliver contacted HESC and asked whether they could bring Susan to us to be rehabilitated. This would effectively mean that she could breed, and her genes would be shared within the broader cheetah gene pool. Naturally we welcomed Susan with open arms! Following her arrival with us, Susan was kept in quarantine, and after a period of about three months, she was moved to a bigger enclosure. 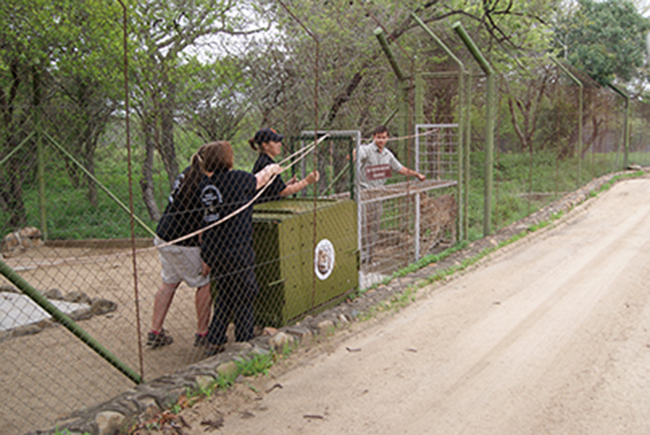 On Saturday 27th October Susan was released onto Camp Jabulani, part of the Kapama Game Reserve. We had already successfully released two cheetah females and two cheetah males in this area, and Susan was released in close proximity to the land that the two males have made their territory. As Susan is collared, we have been keeping track of her movements via the GPS satellite system. 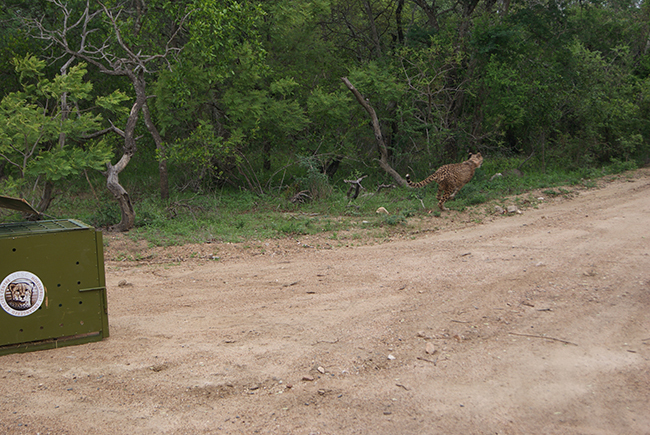 Any successful release makes us really proud, as releasing cheetahs into their natural habitat is our ultimate aim. Thanks go to The Howard Buffet Foundation for being proactive in Susan’s relocation.